Shame RX: Laughing at our shame can heal our hearts. Running down the steep path of the mountain, I was done with this “hike”. My legs felt like spaghetti noodles and were carrying me down to the end of my torment. Only problem was, I knew at the pace I was going that a fall could really hurt. And somehow, instinctively I knew I was going to do a face plant. Sure enough, a rock was above the surface just enough to trip me and I flew. Landing with my face in the mud, I knew my response to this feat would affect those around me. And so I laughed. LOUD. And got up like nothing happened, pretending I was tough stuff. Only my body betrayed me. The stabbing pain in my back told me I would pay for this behavior for days, and I did. I have always felt a kindred spirit with Lucille Ball. And some of the things I get myself into, goodness. but choosing to laugh in that moment lightened the load that shame was placing on me. I made a choice then and have many times since—shame is not the boss of me!—and laughter is indeed good medicine. Sometimes shame really hurts. Laughing *might* not be appropriate then. That’s ok. Crying out to God also relieves us from shame’s misery and stronghold in our lives. But when you mess up big time, go ahead. Laugh a little. Or a lot. Laughter can offer a refreshing release to those willing to humble themselves. 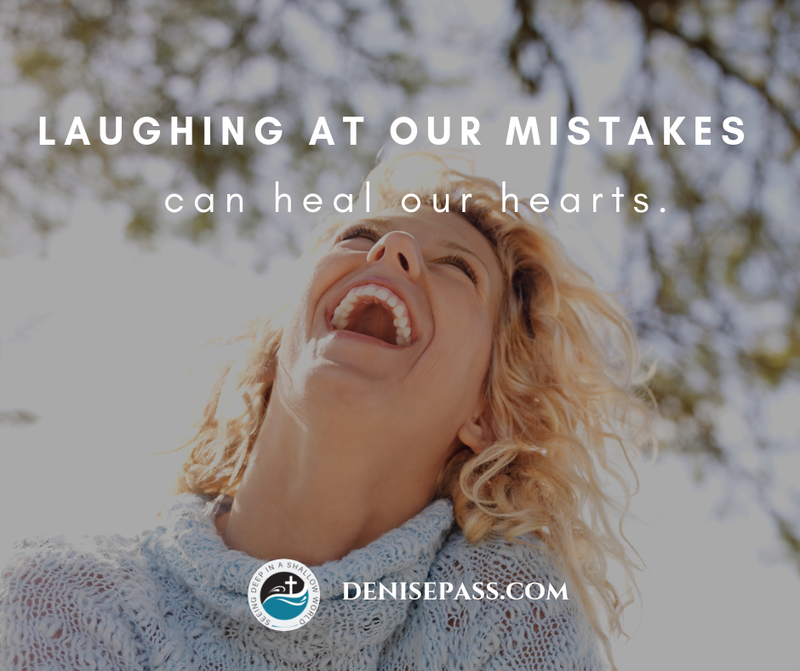 Laughing at our shame can heal our hearts. Need to get rid of shame in your life? 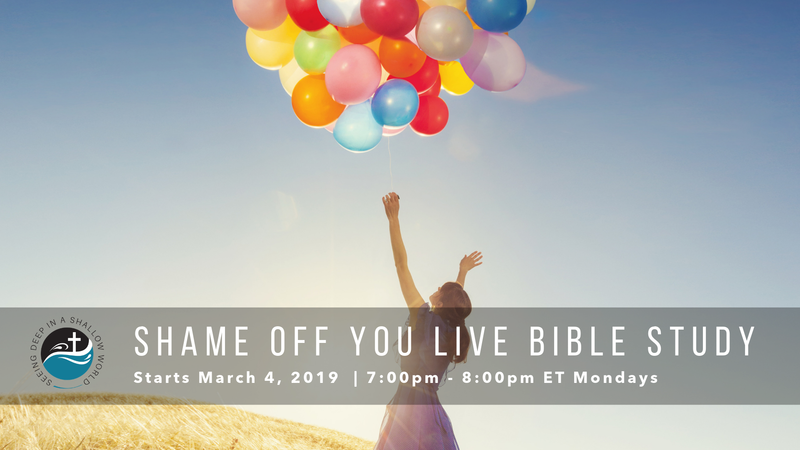 Join the Shame Off You Bible Study Mondays at 7pm ET. To get your freebies, Click here to fill out the form and get freebies.